She's just lost her son to another woman and she needs a little comfort! Comfort her with our Mother of the Groom Luxury Gift Box. 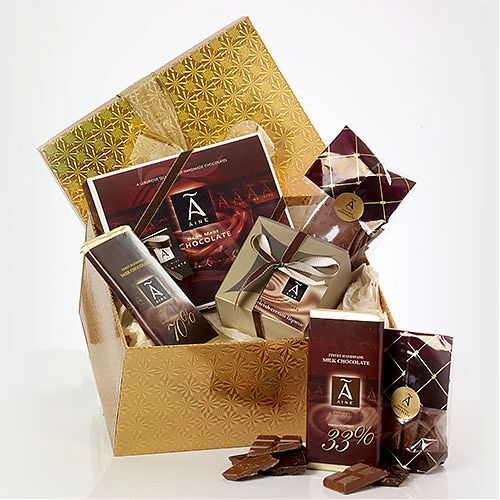 Includes a box of twelve gorgeous hand made chocolates, a bag of 'melt in the mouth' truffles, four 100g bars of smooth milk and deliciously dark chocolate, two bags of broken chocolate and two Hot Chocolate Swirl Sticks.